The morning sun just came out to burn it all off. U-Towers basks in all it's ugly glory. Got it up here in Traverse City too. 10:17 and its still not gone. Cool, if you hadn't said anything about, it I would have never known it happened! Sweet, I didn't even know it snowed today. I guess by the last two post that the snow had melted before noon. Not us up here. We have got ourselves a lake effect snow advisory and I saw on the Weather Channel that the UP has a Winter Storm Warning. There's still snow on the cars/roofs etc here. Plus its dang chilly! Where's summer! Poor Tigers and A's, this is not good weather for baseball. It stings hitting a 60 mph pitch. I've never had to try and hit a 90-100 mph pitch but I can't imagine it feels better. 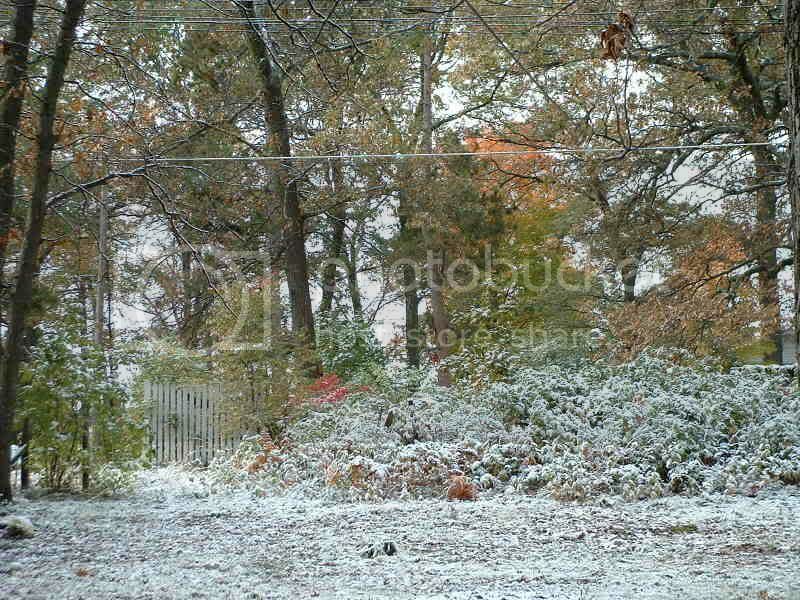 Wow, the snow is coming down pretty hard right now. The sun is coming out though. its still cold and covered in snow here. I was at the MI Planning Assoc Conference at the RenCen all day today and when it was over, I decided to go stand out by the riverfront. I looked down to the Ambassador Bridge, and everything was eerily gray and dark but sunny over my head. Over about a minute or two, the gray blew right into me and snow started falling horizontally with like 60 mph winds. It was the coolest thing. Though crappy to see all that snow. I saw the snow before going to class and it depressed me so much. Later I drove through Kalamazoo and they had quite a bit of snow on the ground and there was a car parked on the side of 94 with about three inches covering the entire thing. While stopped in traffic, thanks 131 interchange construction, a bank sign said it was only 34.